iGaming developer, Microgaming has had a busy time at the recent ICE Totally Gaming exhibition. Not only did it launch its new video pokie, Fortunium, but the online casino software and games developer also announced the title of the Microgaming new pokie, Cash of Kingdoms. If you’re a fan of exciting fantasy-type video pokies, you’re going to want to check this one out when it goes live. The 2018 instalment of ICE Totally Gaming was recently held at London’s ExCel Centre. It was during the three-day event that Microgaming gave insight into its latest title, Cash of Kingdoms. The 5-reel and 15-pay line pokie was shown off to attendees at a special ceremony which also featured a talented foot archer performing gravity-defying stunts and skills to the unique soundtrack of the game. The launch festivities for Cash of Kingdoms really came alive at ICE at the Microgaming Bar. Microgaming, that is based in the Isle of Man, described its newest title as a colourful fantasy-themed online video pokie that has been designed especially for adventure seekers. The game is expected to go live on Microgaming-powered websites around the world later this year and is set to offer non-stop on-screen action. According to the developers, the game’s reels come with a crew of heroic allies, including a mysterious magician, spirited archer, a handsome knight, a bearded bombardier and even a cunning rogue. You’ll be able to release a barrage of fiery arrows through the use of the game’s unique and innovative Invading Wilds feature. Microgaming’s Games Publisher, David Reynolds, has declared that Cash of Kingdoms has been built with a strong games engine designed to give lovers of online video pokies an action-packed game complete with excellent payouts. 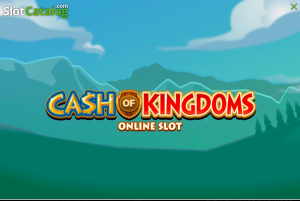 Cash for Kingdoms reportedly combines a popular theme with an immersive feature set, sure to appeal to many gamers who prefer to use mobile casino platforms. It’s a great adventure to add to Microgaming’s diverse casino pokies portfolio for the year ahead. Cash of Kingdoms is a 15-payline, 5×3-reel pokie. The magical, mystical hero allies are ready to charge down your reels and accompany you on your quest for fortune. The vibrant pokie is packed full of bold features to provide exceptional action. The game also introduces a new feature, Invading Wilds, that unleashes those arrows onto your reels. Do You Love Online Pokies? While no launch date has been mentioned as yet, Finland-based gamers will be able to play Cash of Kingdoms at Microgaming-powered online casinos soon. In the meantime, remember to try your luck at some of Microgaming’s life-changing progressive jackpots or hone your skills at one of the table games, like baccarat or blackjack. When you’re ready, withdraw your winnings and live it up in style. Just as long as you remember to game responsibly.